Traditionally, when a witch turns 15, she’s supposed to go out into the world alone to study magic. Makoto’s parents, however, believe that their directionally-challenged daughter should get a high school degree. Instead of being sent out on her own, Makoto and her cat Chito find themselves traveling from the bustling city of Yokohama to Aomori Prefecture, where they’ll stay with relatives until Makoto finishes school. It’s going to be a big adjustment, and it only gets more complicated since “normal” people aren’t supposed to know that witches exist… something that she tends to forget. 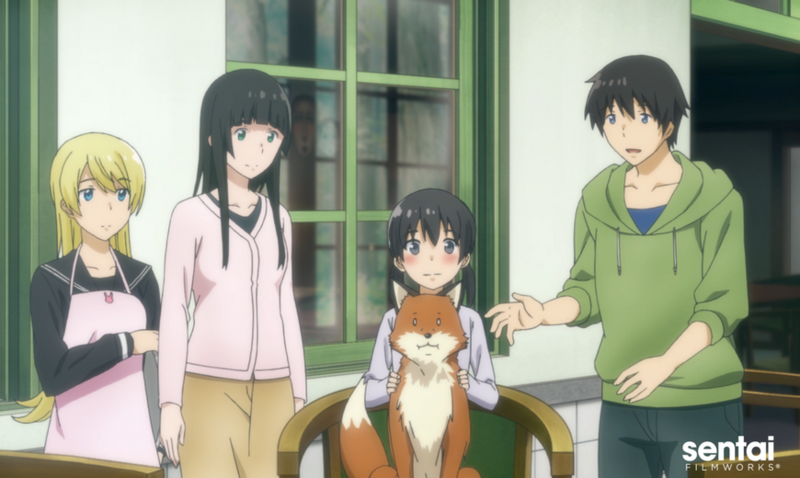 In the meantime, Makoto, her cousins, and her new friends will have to work a just little harder to adapt to a whole new way of life when the new girl in town is a FLYING WITCH!